The Sig Scorpion 1911 and Sig Carry Scorpion 4.2 inch 1911are great pistols. We are happy to be able to support this fantastic pistol. We support this pistol for all our fullsize, Light-bearing/light-compatible OWB and IWB holster, and AIWB holster. 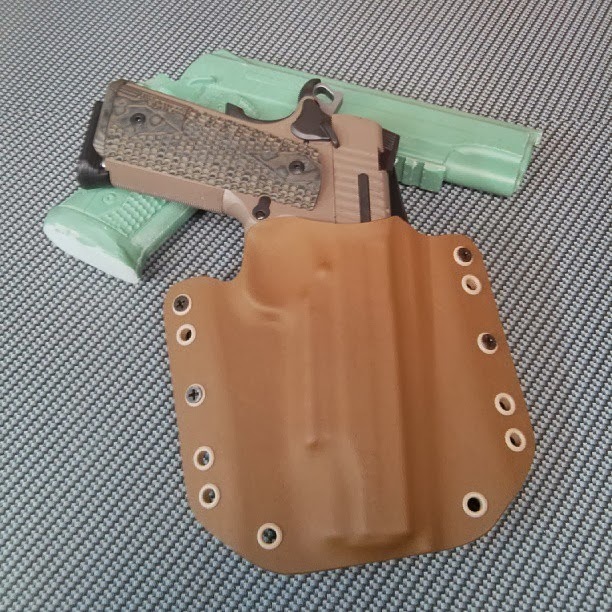 If you are looking for a Custom Kydex holster for the Sig Scorpion look no further! Any Railed Sig 1911 will fit in these holsters so you are looking for a holster for your Sig 1911 Railed Scorpion, Railed Sig 1911 Nitron, Railed Sig 1911 Stainless, Railed Sig 1911 Extreme you can find it here!